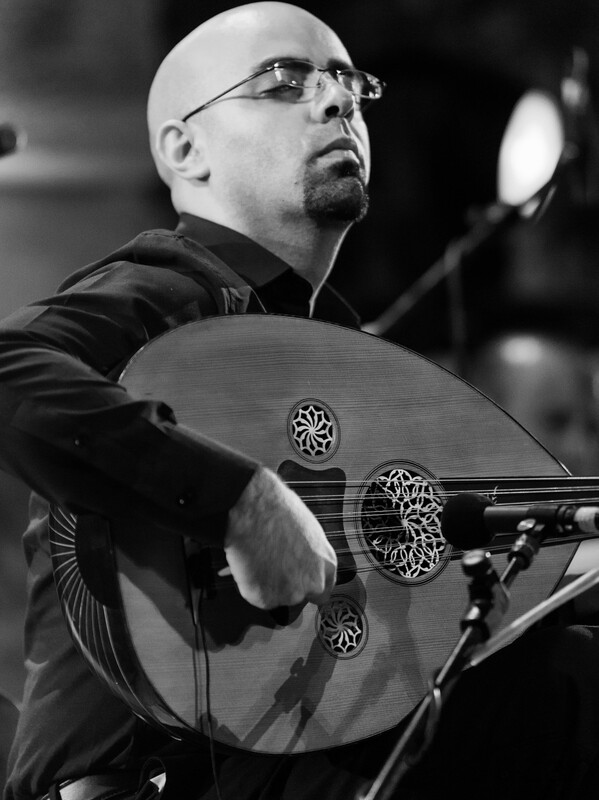 Jordanian composer and Oud virtuoso, born in Amman 1983. He has started learning Oud at the age of 11 when he joined the preparatory section in the Jordan Academy for Music. Taught by many Jordanian and Arab Oud Masters. In 2007, he completed his Bachelor degree in Chemical Engineering from Jordan University of Science and Technology, but he followed his passion in music and he was awarded a scholarship to complete his BA in music performance at the National Music Conservatory; he finished his MA degree at the University of Jordan in music education. In 2009, he ranked the second place in the International oud competition held at the Holy Spirit University of Kaslik/Lebanon. In 2013, he got a special prize from the International Maqam festival as a composer and Oud player which was held in Baku/Azerbaijan. In 2015, he got second place at the International Maqam contest which was held in Baku/Azerbaijan. In 2016, he was honored by the Jordanian ministry of culture as a Jordanian contemporary musician and a tree was planted with his name at the innovation forest. In 2016, he received the Ministry of Culture's Award for Musical Achievement. Tareq has many compositions and studies for the Oud as well as compositions for the eastern ensemble (Takht), music for plays, children’s songs and music for TV shows. Tareq released six albums: Bayna Bayn 2008, Music from Amman 2012, Terhaal 2013, Melodies from my childhood 2015 and Sowar 2015, Tareq Jundi & Orchestra 2018. He conducted, composed, played with many bands and represented Jordan and participated in many festivals in Jordan and abroad.